Main gate leads through garden to front door. 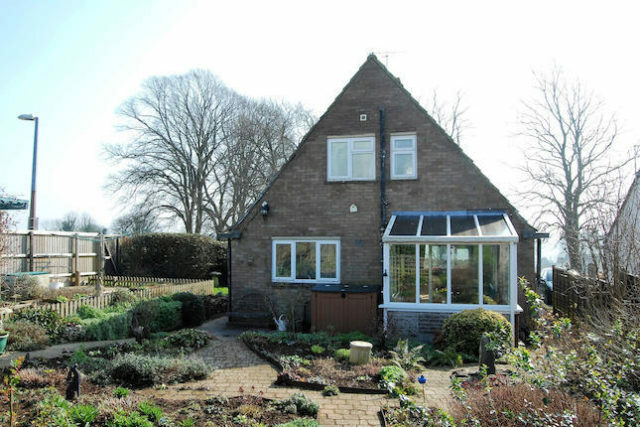 (7.10m x 3.37m) This large lounge catches the sun through windows at the front, and has full-width patio doors into the conservatory at the back. It has a gas fire in the end currently used as the living space. 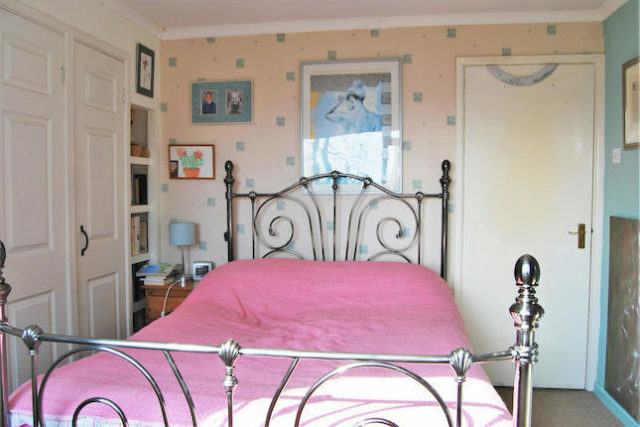 (3.03m x 3.40m max) This sunny downstairs double bedroom has plenty of storage, with built in wardrobes across one wall. This room would also work well as a study or snug. 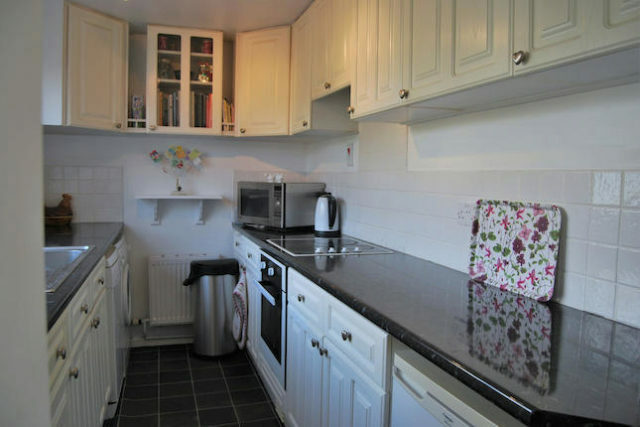 (2.0m x 3.32m) The kitchen has built in floor and wall units and a built in pantry. The sink is at the window overlooking the garden. The oven, hob and extractor fan are all electric and built in. 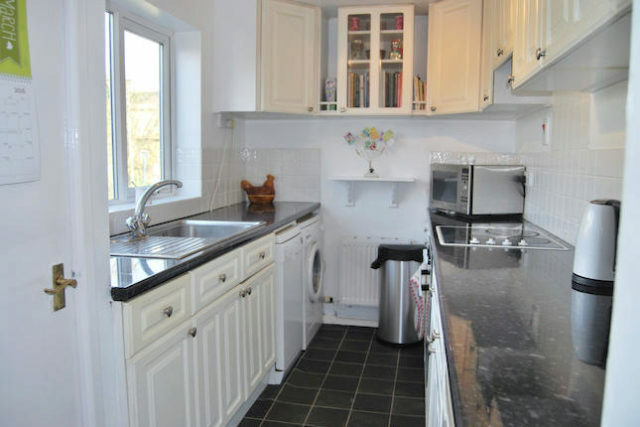 Space and plumbing for a slim-line dishwasher and a washing machine, and space for under counter fridge. (1.92m x 2.46m) Tiled floor, and wood-panelled up to the start of the glass. Door out to the garden. Sliding doors into the living room. 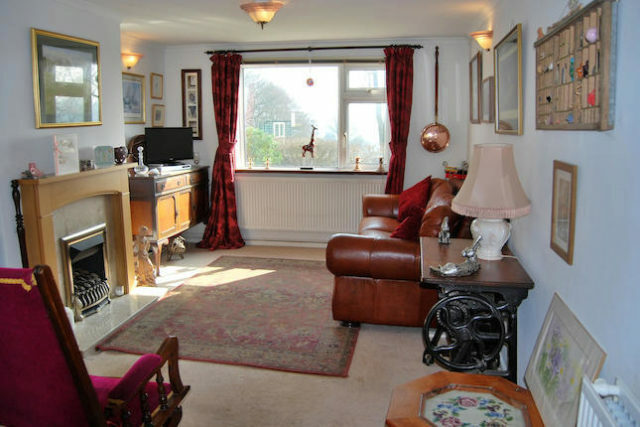 (2.60m x 4m) Large double bedroom with views over the park. 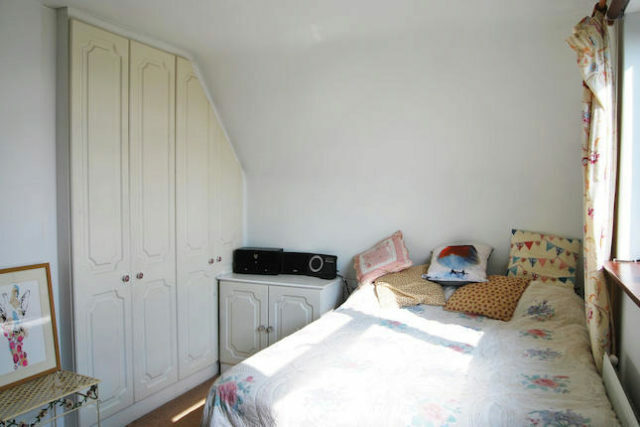 Two double, built-in wardrobes and storage in the eaves. 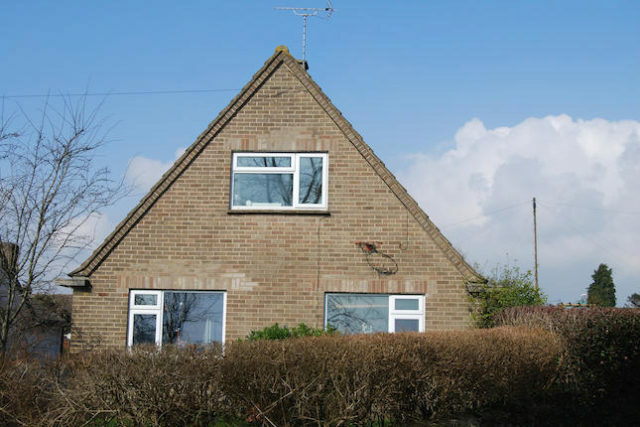 (2.98m x 2.20m) Double bedroom partially in the eaves. 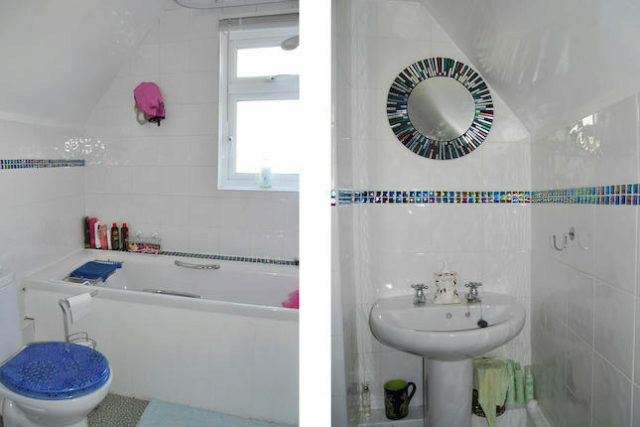 (2.03m x 1.64m) Bath with shower, toilet and basin. Extractor fan. The large garden wraps all the way around the house, with the main area measuring about 15m x 17m. The majority of the garden has been beautifully landscaped and planted, and there is a deck, a patio with arbour, a potting shed and a pond. There is a driveway for 2-3 cars and a garage with light and power at the end of the garden. 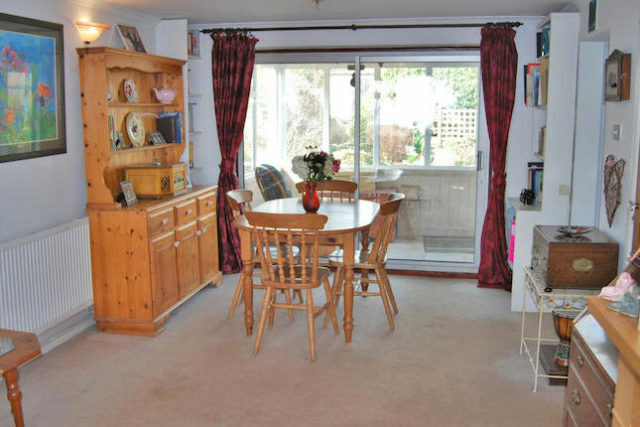 This property is across the road from a large playing field with basketball court and children's playground. Next to this are the allotments, and Chalford Sports & Social Club, which has tennis, football, cricket and indoor bowling. There is a community shop on Chalford High Street, and Tesco Express, Post Office and gp Surgery at Bussage. Less than a mile away is Thomas Keble secondary school, which Ofsted rated "Good" and described as a "very inclusive school where great attention is paid to the needs of every individual student". Half a mile away is Chalford Hill Primary School, also rated "Good" by Ofsted. Chalford Hill is surrounded by the beautiful countryside of the Cotswolds aonb with plenty of places to walk and ride. 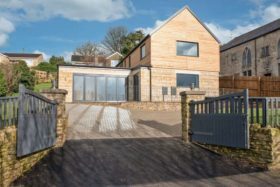 There are easy bus links to Stroud town and railway station, Chalford, Bussage, Eastcombe, Bisley, Cirencester and Cirencester Deerpark School/Cirencester College. The Kings Head and The Old Neighbourhood Inn are two nearby pubs and there are many more serving excellent food in the surrounding villages. Stroud has an award-winning farmers' market and a good range of shops, supermarkets, restaurants and cafes. There is a vibrant music and arts scene in the town and surrounding area, as well as great places to eat and drink. There is a regular train service from Stroud to Swindon, Reading and Paddington (90 mins); the M5 is 10 miles away and the M4 at 20 miles for Bristol or Swindon.  Cirencester has an excellent range of independent shops as well as supermarkets, a farmers' market, high street shops and some very good restaurants.